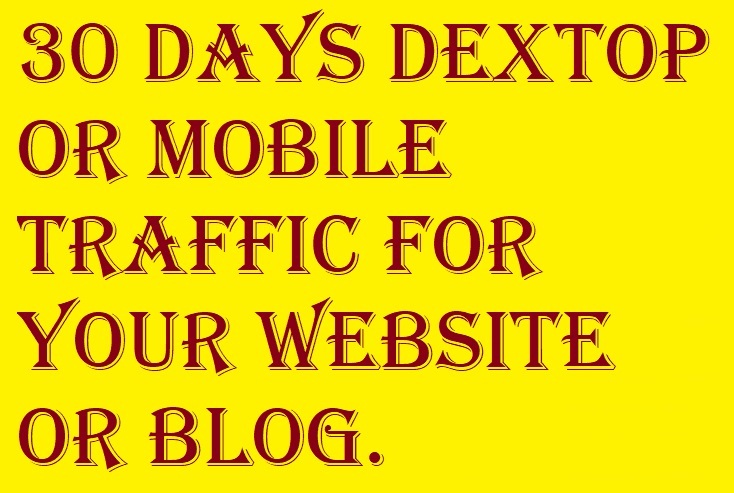 30 Days Desktop or Mobile Traffic for your Website or blog. I can provide you 30 days of Desktop or Mobile web traffic from social site. - worldwide traffic: most includes US. Almost all links are accepted but ignore illegal, download, malware, shortened, streaming (video & audio) links or other landing pages. 30 Days Desktop or Mobile Traffic for your Website or blog. is ranked 5 out of 5. Based on 3 user reviews.